Day 23: Off the beaten track places to live in Thailand, what are the costs and drawbacks. Other great places to live in Thailand. Southern Thailand is it safe, the people the foods, crossing to Malasia, along with the daily expenses. Happy New Year! 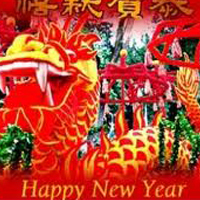 January - 23 - 2012 is the start of the Chinese New Year celebrated across Asia for as long as two weeks in some places. 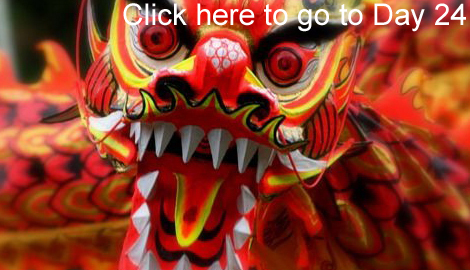 This year is the year of the dragon; each year is assigned an animal and rotates thru a 12 yearly cycle. This year happens to be my sign so I�m expecting a good year. December 2010 saw me hop on a small Honda Wave motorcycle in search of a place that was a lot less Westernized than Phuket. 4 months and 23,000 kilometers later I had visited and stayed in quite a few towns, most for a few weeks or more. 5-6 had nearly everything I was looking for; over the next few days I will try to cover the pros and cons of these main towns briefly. There is only one way off the island of Phuket by road, in the north you will cross a bridge and a few kilometers later you are in the province of Phang Nga. "Thailand has 76 Provinces" Phang Nga is very small province the main town, provincial capital is called the same as the province, as is the case for the majority of the province�s in Thailand. Phang Nga is host to the "James Bond Island" it also has miles upon miles of deserted beaches on the west side, if you love nature Phang Nga has it all, mountains, waterfalls, and miles of beaches. I stayed at the Phang Nga Inn in town and explored a lot, and was truly impressed with all the province had to offer. After a week I was truly unimpressed with the town, it is tiny and has next to nothing to offer someone seeking a semi westernized lifestyle. It gets a mention because of it�s natural beauty, low cost of living. Only a short drive from Phuket makes it a possible. Trang I couldn�t get enough of Trang, it is very high up on my list of places to live in Thailand. Described as a sleepy provincial town by most, I was not expecting a lot. The Town is huge, unfortunately land locked. The province has as much to offer as any I have ever seen, deserted beaches, islands, mountains, and waterfalls. The further you get away from Phuket in the South, the cheaper it gets. 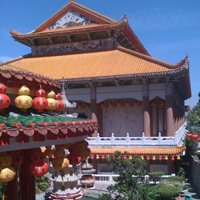 Trang is super cheap; the people are very nice not too many westerners and little nightlife. I stayed in Trang about a month; it took me that long to find a few things, which made me, carry on my search. Top of the list was lack of easy to find semi-westernized accommodation, I couldn�t find anything. Western food products are very difficult to find. 12 months later with basic Thai language skills I still think of Trang. 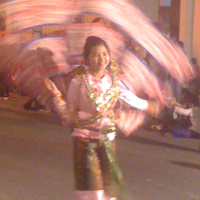 Continue Reading Day 24: Other Places to Live in Thailand: Southern Thailand.